Last night America met Democratic vice presidential contender Tim Kaine. I wanted to see if he would be a worthy successor to the Gearhead-in-Chief, Vice President Joe Biden. He’s not Uncle Joe, but he is very much the goofy dad of our everyday motoring experiences. The following traits of our next potential VP may or may not be true, but we really hope they are. Tim Kaine really has to use the bathroom but he’ll hold it in because the rest stop after this one has better restaurants. 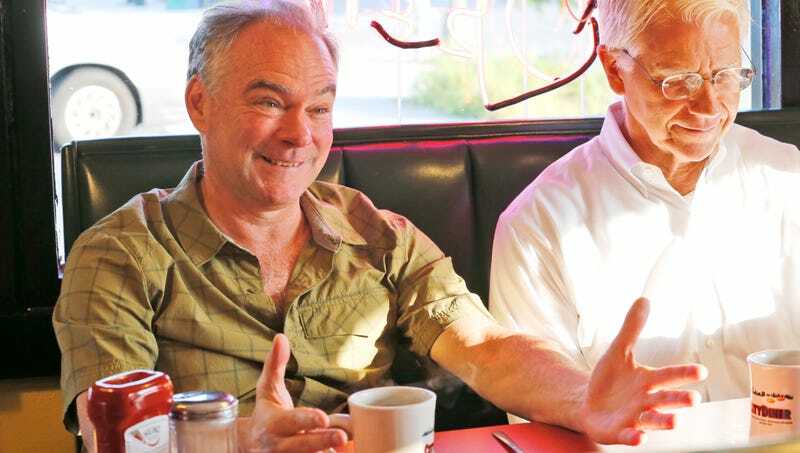 Tim Kaine will always stop to help someone with a dead battery, and he always pretends to electrocute himself with the jumper cables. Tim Kaine doesn’t just take you to the mall parking lot at 6 am on a Sunday to practice for your driving test, he secretly already went at 4 to set up an autocross course. Tim Kaine really thought about getting a Prius, but even Tim Kaine isn’t that boring.